Bi-Office Combination Magnetic and Felt Board 900x600mm XA0322170 – BQ26322 – OfficeYoo! This dual surface Bi-Office board contains both a felt noticeboard for pinning notices, information and notes, and a magnetic whiteboard for writing, erasing and re-using. 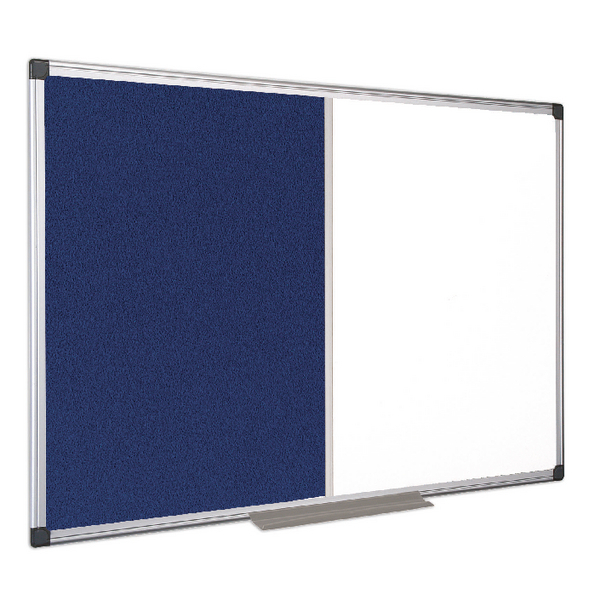 With an anodised aluminium frame, this versatile board has a smooth blue felt surface and easy erase whiteboard surface. The board comes supplied with a wall fixing kit, including plastic corners to conceal the fixings once secured. This board measures W900 x H600mm.